A group sympathetic to the National Democratic Congress (NDC), Strategic Thinkers Network-Africa (STRANEK), has sued government and the Electoral Commission (EC) over proposed plans to create six new regions from the existing 10. According to the group, plans by the EC to organise referendum only in the beneficiary areas is unconstitutional and whimsical. 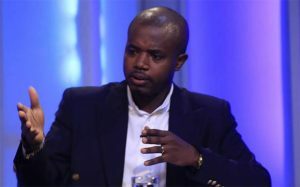 In a suit filed by their lawyer, Godwin Kudzo Tameklo, a Mahama boy, the group is praying the apex court to place an interlocutory injunction on the proposed referendum which is scheduled for December 27, 2018 until the final determination of the suit. This was after the Council of State, on 29th June, 2017, received communication from the President seeking the Council’s advice on the creation of new regions, as stipulated by the Constitution. The President, on the October 19, 2017, in accordance with Article 5 of the 1992 Constitution, inaugurated a nine-member Commission of Inquiry to inquire into the need and substantial demand and to make recommendations on all the factors involved in the creation of a region or alteration of regional boundaries. The Commission is chaired by Justice S.A. Brobbey, a retired Supreme Court Judge, and has Dr. Grace Bediako, Maulvi Mohammed Bin-Salih, Prof. Kwasi Kwafo Adarkwa, Gladys Tetteh, Robert Ajene, David Wellington Essaw, Prof. George Owusu and Josephine Hughes, as its members. The Commission commenced its public hearing on 21st November 2017 in the Western Region. On June 27, 2018, the Justice Brobbey Commission presented its report to President Akufo-Addo and recommended the creation of six new administrative regions in Ghana and the new regions are to be known as Oti, Ahafo, Brong East, Western North, North East and Savanna. The Commission of Enquiry recommended to the President that the “places where the referendum should be held” be limited to the proposed new regions to the exclusion of all and same forwarded to the 2nd defendant. The Inter-Party Advisory Committee (IPAC) of the EC met on August 22, 2018 to discuss issues relating to the electoral calendar 2018, including the Limited Voter Registration exercise and the referendum on the creation of new regions. The EC has set December 27, 2018 for the referendum on the creation of six new regions. The Electoral Commission recently announced that it would undertake a limited registration of Ghanaians who have never registered as voters or who just turned 18 years and reside in the proposed areas in the Northern Region carved out for the creation of two additional regions known as the Savannah and North Eastern Regions respectively and similarly in the other regions of Volta, Brong-Ahafo and Western. The opposition NDC has not hidden their unhappiness with government’s plans to create additional six regions, which are to further strengthen the decentralization process in the country. The creation of the new regions, as envisaged by the Akufo-Addo administration, is to improve local governance and bring economic, social and infrastructural development to the new regions. But the NDC claims the creation of the new regions is a tribal move, amid claims that their creation will further deepen the woes of the new regions. The party has now taken a step to stop the proposed creation of the new regions, as STRANEK, a group with links to the NDC has sued government through the Attorney General as well as the Electoral Commission over the impending referendum.